"Was really surprised to find a Korean restaurant in Kon Tum. Staff was friendly and spoke a good amount of English. Food was pretty good and they have a wide variety of bubble teas. Seems like a popular place, lots of locals just kept arriving. " If what you're looking for is a conveniently located hotel in Kon Tum, look no further than Indochine Hotel Kon Tum. The hotel is not too far from the city center: just 0.7 km away, and it normally takes about 60 minutes to reach the airport. With its convenient location, the hotel offers easy access to the city's must-see destinations. Offering hotel guests superior services and a broad range of amenities, Indochine Hotel Kon Tum is committed to ensuring that your stay is as comfortable as possible. For the comfort and convenience of guests, the hotel offers 24-hour front desk, Wi-Fi in public areas, car park, room service, airport transfer. 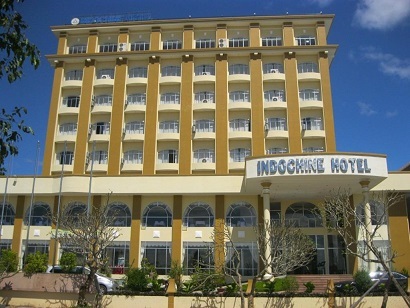 Indochine Hotel Kon Tum is home to 63 bedrooms. All are tastefully furnished and many even provide such comforts as television LCD/plasma screen, internet access � wireless (complimentary), air conditioning, heating, desk. Throughout the day you can enjoy the relaxing atmosphere of the fitness center. Indochine Hotel Kon Tum is a smart choice for travelers to Kon Tum, offering a relaxed and hassle-free stay every time. Featuring free WiFi, Duy Phuong Hotel offers accommodation in Kon Tum, 20 km from Kon Tum. Free private parking is available on site. Rooms are fitted with a TV with cable channels. 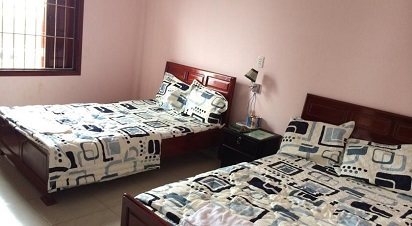 Rooms are equipped with a private bathroom equipped with a shower. You will find a 24-hour front desk at the property. For travelers who want to take in the sights and sounds of Kon Tum, Konklor Hotel Kontum is the perfect choice. With its location just 2 km from the city center and 40 km from the airport, this 1-star hotel attracts numerous travelers each year. With its convenient location, the hotel offers easy access to the city's must-see destinations. Take advantage of a wealth of unrivaled services and amenities at this Kon Tum hotel. While lodging at this wonderful property, guests can enjoy free Wi-Fi in all rooms, 24-hour front desk, express check-in/check-out, car park, room service. Konklor Hotel Kontum is home to 25 bedrooms. All are tastefully furnished and many even provide such comforts as television LCD/plasma screen, linens, mirror, towels, closet. The hotel offers fantastic facilities, including children's playground, garden, to help you unwind after an action-packed day in the city. Konklor Hotel Kontum is an ideal place of stay for travelers seeking charm, comfort and convenience in Kon Tum. HAGL Hotel Gia Lai is a 4-star leading hotel centrally located in Pleiku, just a 10-minute drive from Pleiku Airport. The 120 rooms include suites, deluxes, and superiors. All rooms boast a balcony facing scenic mountain and valley views, a safety deposit box, and international TV channels. Complimentary Wi-Fi is provided in rooms and public areas. 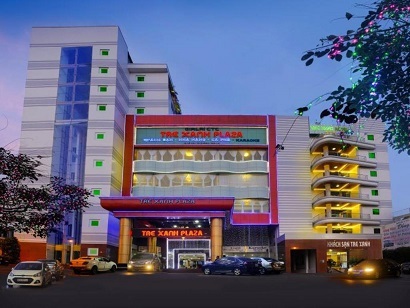 This property is ideal for business travelers and tourists with facilities including a business center with free Internet, a restaurant, a health club and karaoke, a lobby bar, a live band music bar and caf�, and a tennis court. Please enter your preferred dates of stay and submit our online booking form to make a reservation at HAGL Hotel Gia Lai. For travelers who want to take in the sights and sounds of Pleiku (Gia Lai), Green Bamboo - Tre Xanh Plaza Hotel is the perfect choice. From here, guests can enjoy easy access to all that the lively city has to offer. Visitors to the hotel can take pleasure in touring the city's top attractions: Pleiku Airport, Attack on Camp Holloway. 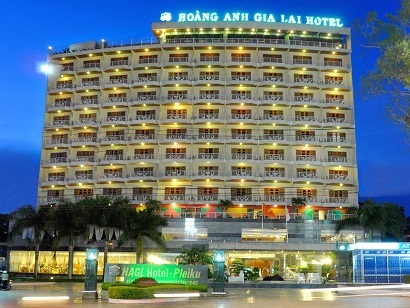 Take advantage of a wealth of unrivaled services and amenities at this Pleiku (Gia Lai) hotel. The hotel offers access to a vast array of services, including 24-hour room service, free Wi-Fi in all rooms, 24-hour security, daily housekeeping, gift/souvenir shop. Hotel accommodations have been carefully appointed to the highest degree of comfort and convenience. In some of the rooms, guests can find television LCD/plasma screen, internet access � wireless (complimentary), whirlpool bathtub, air conditioning, wake-up service. Besides, the hotel's host of recreational offerings ensures you have plenty to do during your stay. With an ideal location and facilities to match, Green Bamboo - Tre Xanh Plaza Hotel hits the spot in many ways.